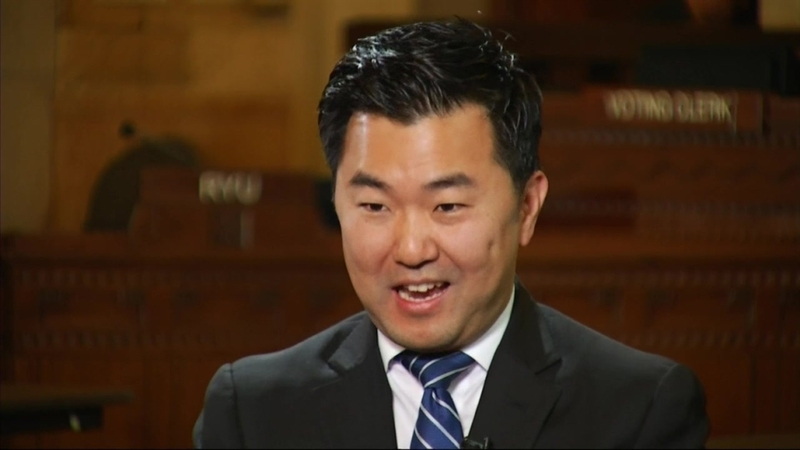 After 20 years without an Asian-American on the Los Angeles City Council, David Ryu bucked the trend when he became councilman for District 14. "When I won, it was such a surprise even to the Asian American and the Korean American communities who thought it couldn’t be done," said Ryu. "They were just so proud to have diversity, so proud to see one of their own in a position of leadership." Ryu became the first Korean American in an LA council seat after he defeated presumed favorite Carolyn Ramsey in the largely-white areas of Sherman Oaks, Los Feliz, Hollywood and Silver Lake. For Ryu, the victory was not just a win for the Korean-American community, but also a validation of his choice to veer from what his parents originally wanted for him. "Their dream was for me to be a doctor," said Ryu. "But when they came here it didn’t matter and they realized they wanted what was best for me and they wanted me not to have to struggle like they did." After emigrating from Korea when Ryu was six, he and his family lived in Boyle Heights, struggling both to survive financially and assimilate culturally. "Growing up bicultural, it's confusing, especially having been taught all these values of 'work hard,' 'be quiet,' 'don’t make waves,'" Ryu said. "Then you go to school, you listen to teachers, you listen to what America is about -- independence, 'be strong,' 'be bold,' 'speak up,' 'speak out.'" After starting off as a premed major at UCLA for two years, Ryu made the decision to switch over to social work — a move that had been inspired by his stint as a student body president at school. "I might not like the doctor part, but I like the helping people part, so I’d like to be a social worker," Ryu said he told his parents. Following work for various nonprofits and an LA County Supervisor’s staff, Ryu decided to make a run for a council seat, not fully realizing the implications of what a victory would mean. "It was never about 'I’m going to make history,'" Ryu said. "If I even made it out of the runoff I would be fortunate enough if the people even gave me an opportunity to serve." Precedent did not favor Ryu, but he credits his victory to a change in politics to not just vote along party or ethnic lines, but rather for what people truly want to see in government and in their communities. "My election has proved that we can go beyond the cover and I’m hoping we can continue to do that."